Tucson Meet Yourself will run from Oct. 12 to Oct. 14. 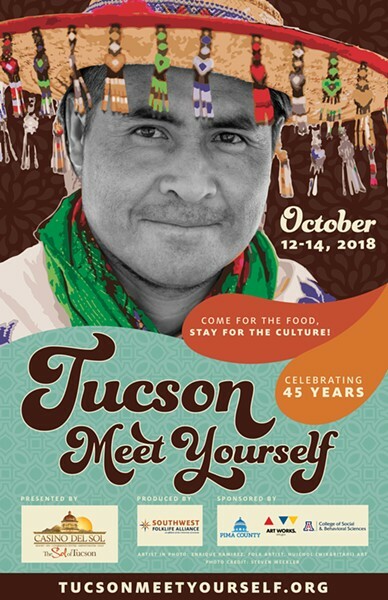 The Annual Tucson Meet Yourself Folklife Festival celebrates 45 years and will take place on Oct. 12 to 14, running on Friday and Saturday from 11 a.m. to 10 p.m. and Sunday, 11 a.m. to 6 p.m. in Pima County Library’s Jácome Plaza and adjacent blocks of Church Ave., Stone Ave. and Pennington Street. Festival organizers say while food is often what draws the public to the festival, it’s the music, dance and folk arts that keep them there. This year there will be 56 food booths for dishes $12 and under representing Chile, Colombia, Costa Rica, Cuba, Ecuador, Egypt, France, Greece, India, Jamaica, Japan, Mexico, Philippines, Poland, Peru, Russia, Somalia, Thailand, Turkey, Ukraine, Venezuela, Vietnam, Virgin Islands, Laos, Hawaii, New England, the U.S. South, and the Tohono O’odham and Pascua Yaqui people who are indigenous to the Sonoran Desert region. Tucson Meet Yourself is free, fun and educational for all ages with a diversity of faces, ages and cultures. “Many of our vendors come from churches, clubs, and community groups. They cook and sell food that represents their culture and tradition and absolutely love to share that with the public. The money they make they keep. We keep their costs low and assist them with the logistics and organization to be successful. 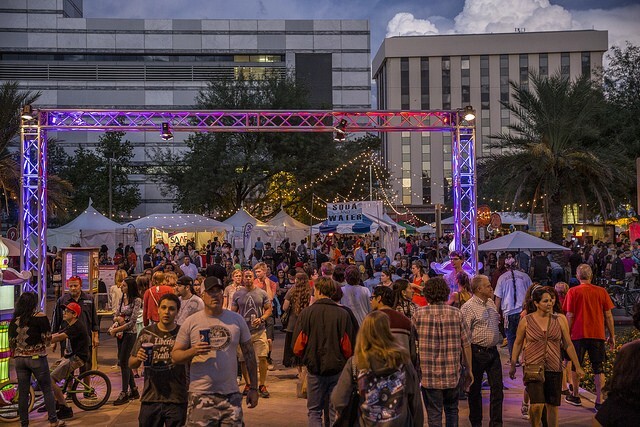 TMY is the largest grassroots entrepreneurial event in Tucson,” said Maribel Alvarez, Program Director of Tucson Meet Yourself and Associate Dean of Community Engagement at the University of Arizona’s College of Social and Behavioral Sciences. Tucson Meet Yourself is produced by the Southwest Folklife Alliance and presented by Casino del Sol Resort. Special partnerships with AIDSWALK Tucson, The Loft Cinema and Low Rider Show & Shine will be sharing culture and heritage of our region. Join the fun at this free, three-day festival for all ages and enjoy the music, food, films, arts, cultures and much more! Keep an eye out for our festival highlights blogs coming up on The Range up until the festival!